other LRC activities for oral practice, assessment and ePortfolio. 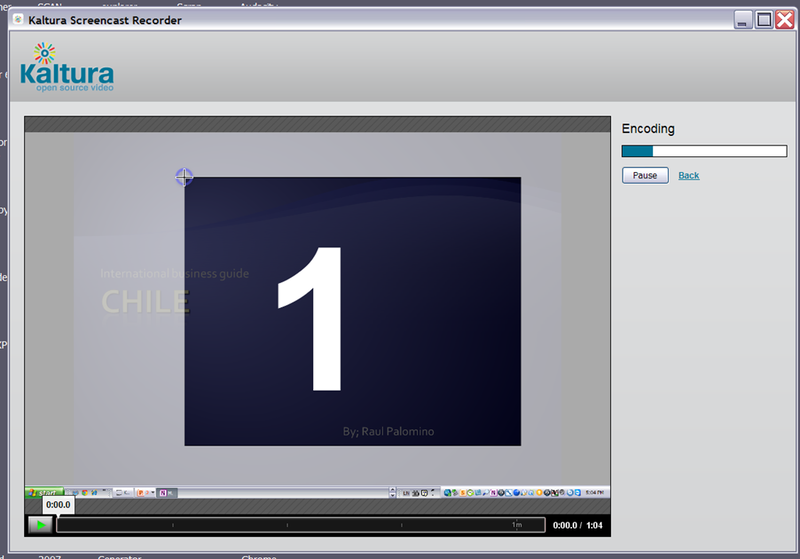 screencast recordings of student presentations Cmd3gQ, pair conversations l6H12, and question-response midterm/final exams ZL7DG using Sanako digital audio lab. 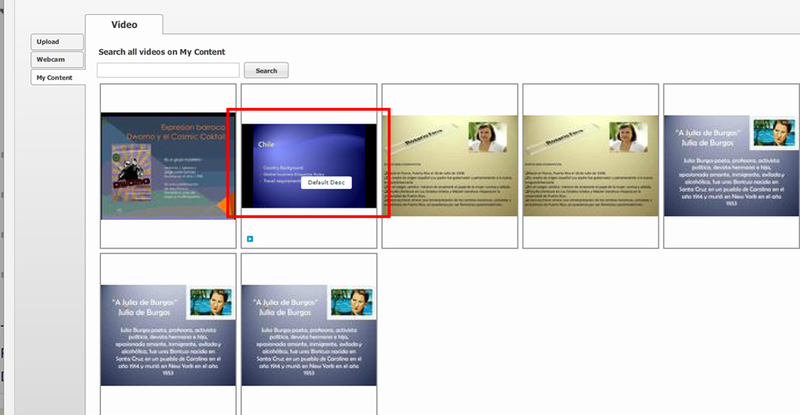 All except Kaltura (incompatible with Mahara) also produce language learner ePortfolio pieces. 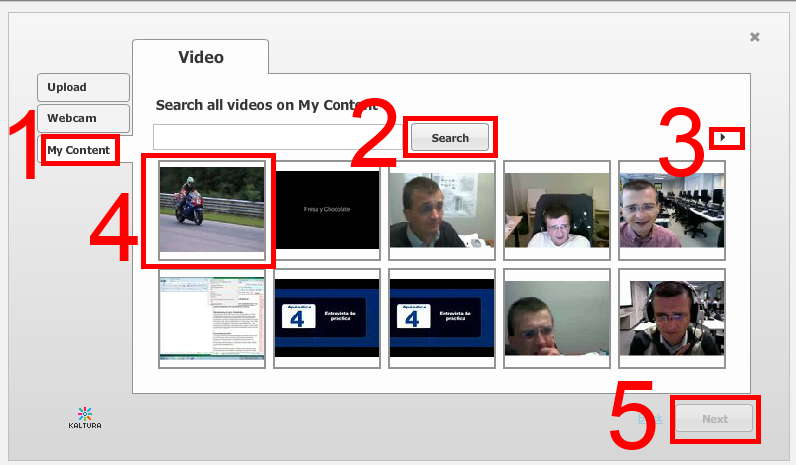 Go to your video assignment in Moodle: . 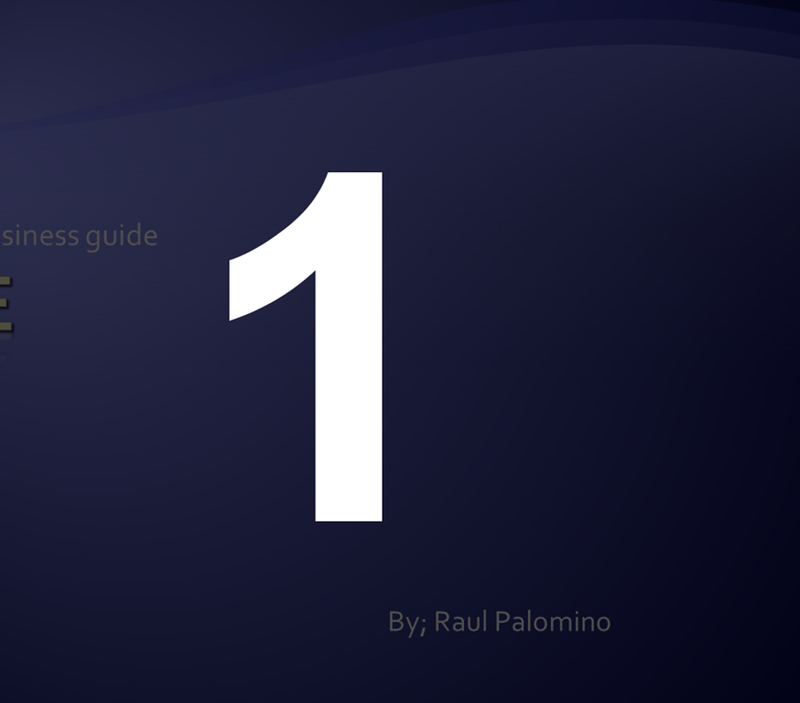 After finishing your slide show, stop the recording from the taskbar icon, and stop the recording: . 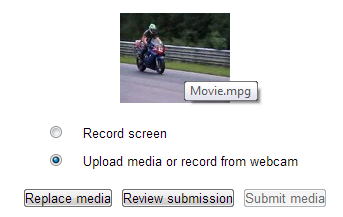 And upload it which includes encoding which takes a bit of time (but not as much as encoding of webcam footage). 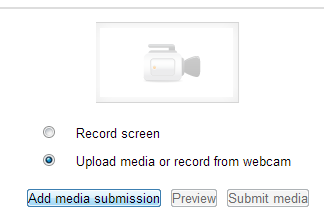 and submit your video content from the media library. 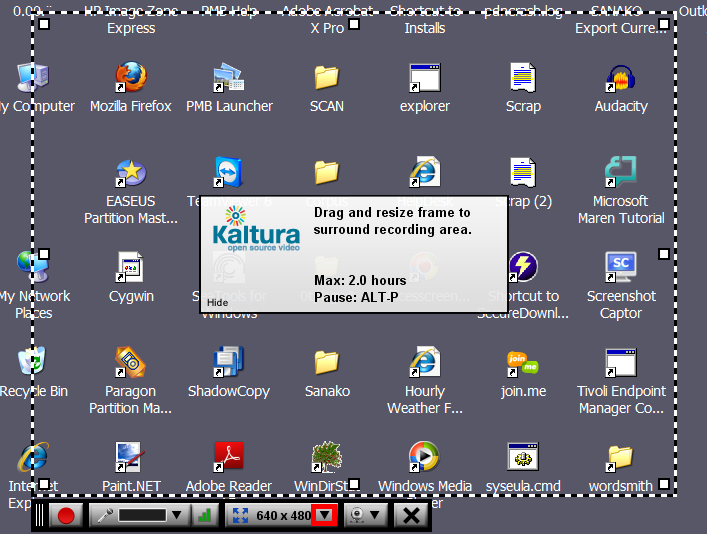 Kaltura screencasts can be used from any Java-compatible device. 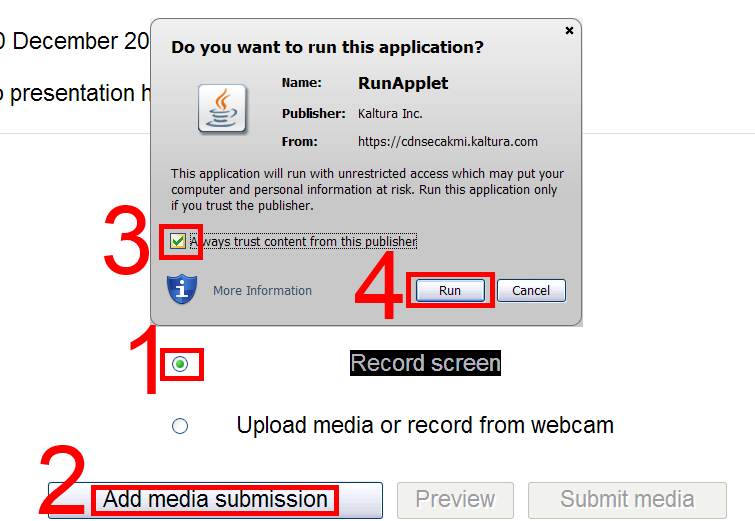 In the LRC, however, you can also record screencasts to files, using MS-Community Clips which you can still upload to Kaltura – extra step, though –, while maintaining compatibility with Mahara. Troubleshooting: If you run into problems, the first thing to try usually is a different web browser. 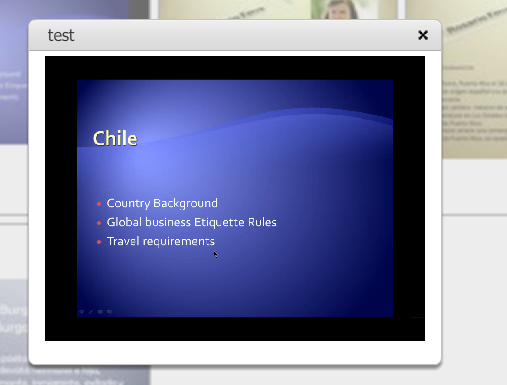 Students can now easily video-record their own screens during class presentations – not only when using PowerPoint; instead students could demo a website, like their Facebook page. Last year, we were limited to PowerPoint’s record slideshow with timing and narration feature, and either send the PPSX (small, but requires the PowerPoint viewer) or the “Save as” video (new in PowerPoint 2010; computing intensive and large file size). 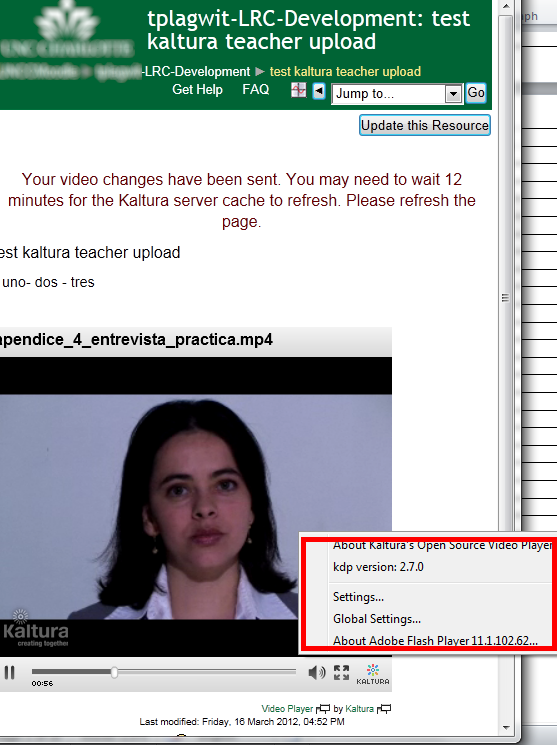 Students could have uploaded to a Moodle’ file upload assignment (default file size limit: 64MB) or Kaltura file upload assignment (not sure whether there is a size limit). 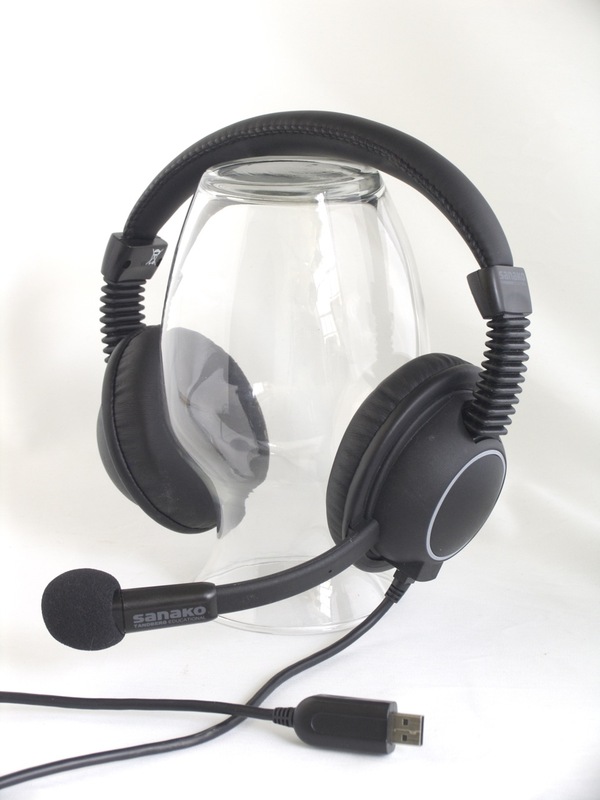 This seems more suitable for assignments with screencasts recordings. and – provided it passes muster as an attractive and significant piece – possibly for re-use in the student’s language learner ePortfolio. Before the presentations, the teacher easily collaborated on proof-reading the slide decks of individual students, by using the Sanako Remote control screen sharing feature. During the presentation, students followed more closely – which seemed to increase their attention and comprehension -, thanks to audio and screen being shared to them from the presenter, using the Sanako’s “Model student” feature. Teachers often feel there is never enough time for grading students’ speaking proficiency. Fortunately, we can now automate feedback on pronunciation using Windows 7 dictation with speech recognition. This feature will be available for 7 languages on Windows 7 in the LRC, here is a demo for a reading exercise dictating German. 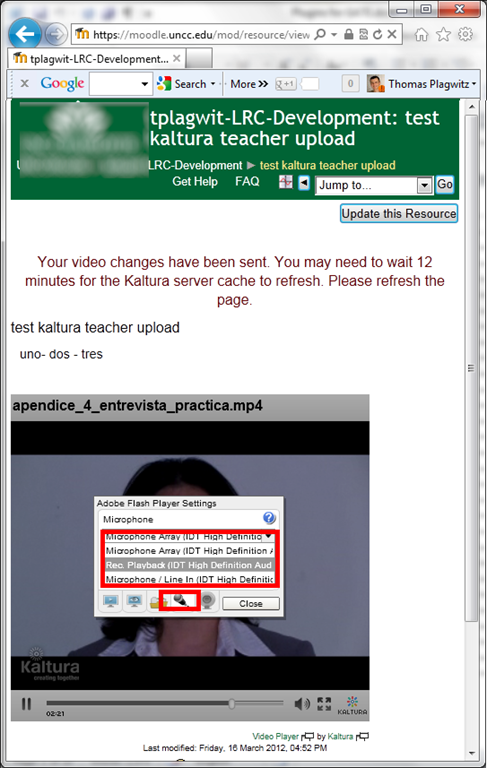 upload their screencast to Kaltura in Moodle. 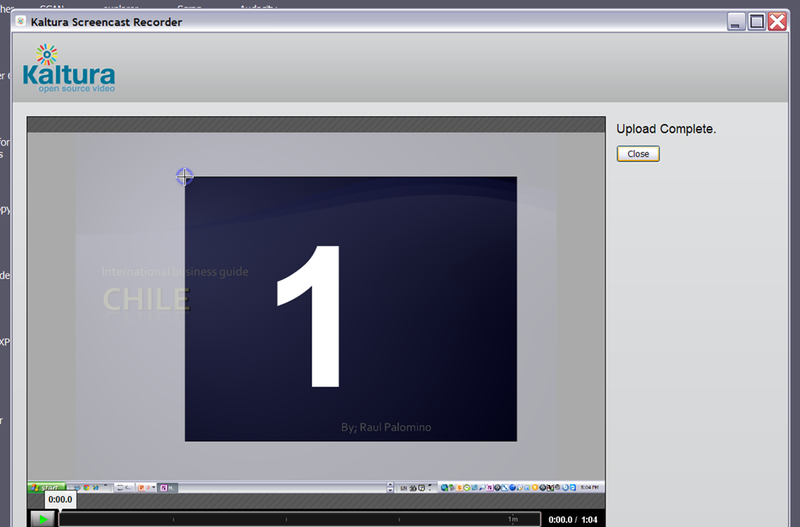 To grade the performance, the teacher has to review only at the very end of the screencast to see how many corrections the student needed to make (when it doubtabout the speech recognition validiiy, the teacher can easily jump to the screencast segment in question and, if necessary, override the speech recognition). 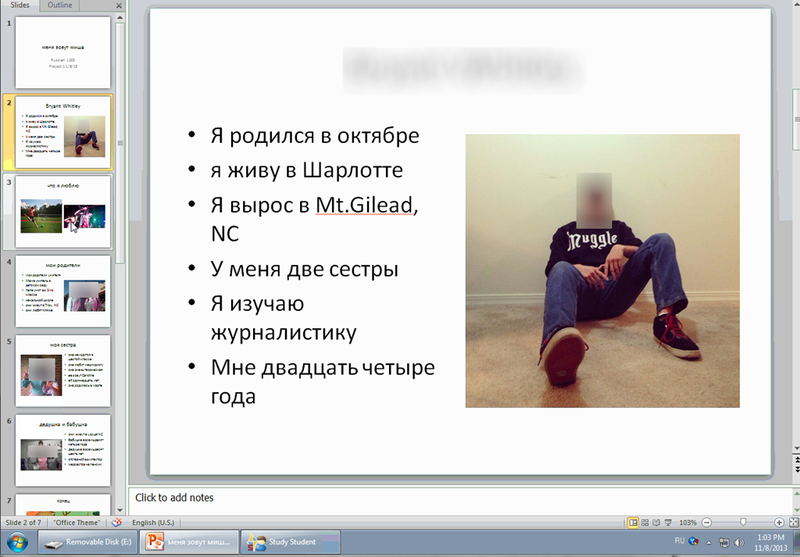 some multimedia pieces demonstrating language proficiency for the student’s ePortfolio. 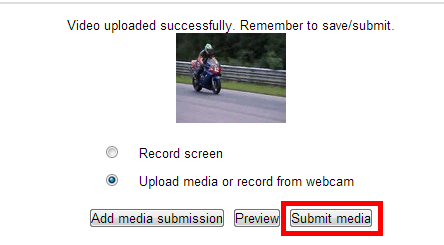 a way to submit the results to the teacher (we use Moodle with Kaltura video uploading (example for teachers, students do it similarly), but email could be sufficient depending on screencast length and attachment size allowance).